C.S.O. spol. s r. o. was founded in 1992. There were 2 employees at the beginning in this company. Now the company employs 95 workers. From the beginning the company is specificated for producing highly sophisticated machining small parts, some of them for locksmithing with the possibility of welding. C.S.O. assembles single-purpose machines and plants. We produced our products while we rented a workshop for two years. Then we built own workshop in Star� M?sto. We extended our machinery park in next years to cover all our professions of the sphere. 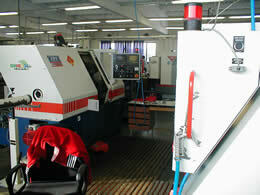 From the year 1998 we acquired CNC machines. In 2002 the other workshop was built with the technical equipment for a construction, programming and electronic evaluation. In 2003 we got an informal system and after a successful audit our company received a certificate for quality and management systems ISO 9001:2000. 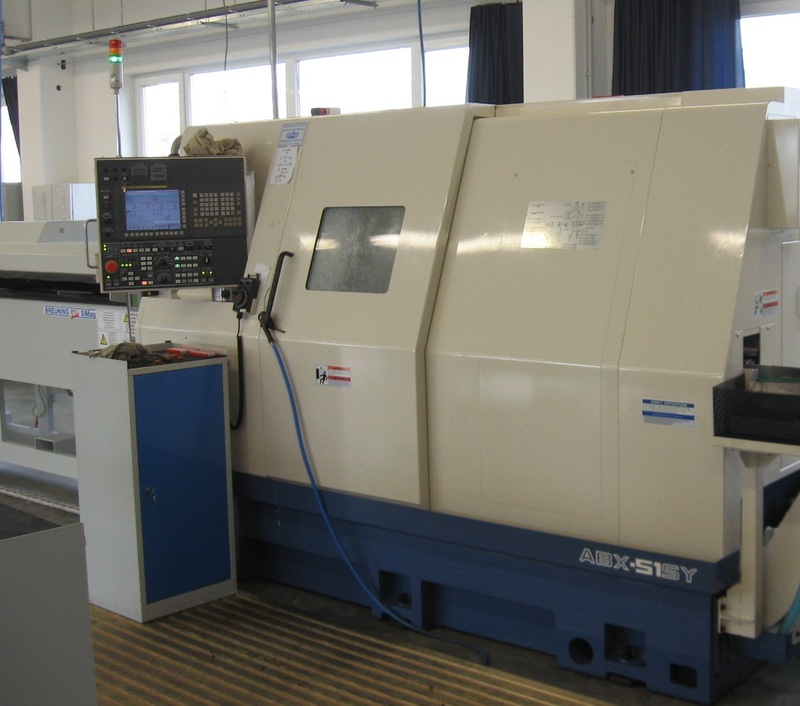 Five-axis CNC milling U740 - there is a lot of milling and our company is able to machine exacting parts with an advantage to machine five surfaces for one carried between dead centres on the German machine "Hermle". Three basic axises are wielded for the fourth axis mode of spindle tilting and fifth, that is table rotation all these operations are automatic, controling by CNC programme. 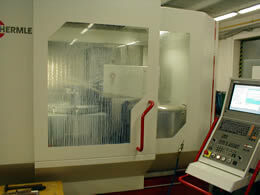 The basic frame of the machine is made of the stoneware monolith, which provides maximum stiffness while machining. The reservoir is the part of the centre for 28 tools for very complicated parts with a lot of various forms, openings, pockets. Turning with 8 CNC controling axises - so it means ABX-SY is a spindle and anti spindle, up and down circular, up circular is done with sliding putting axis Y., the whole number of tools is 24-driving, or 48 axis tools. S circulars have a long lift, which provides them to work in the main spindle and anti spindle too and to realise variouse turning and milling operations to use the axis Y. Indexing is done without their putting up with AC servomotor. There are not problems with cuttings. is specificated for piece making, small-seires pieces and series production. It is the part of shaft an flange character of pieces and a bar material. It is possible to machine outside and inside roll surfaces, then the otheres cone and globural. We can drill and reamin, cut, shape, threads on the programme, which we can make on the controlling board or with the software EdgeCAM. Considering the complexity, the parts are attached in the machine up to the quantity of twelve. We are able to turn materials of various quality - plastic, non-ferrous metals, ordinary construction steels, corrosion-proof materials of the class 17 and tool class 19. 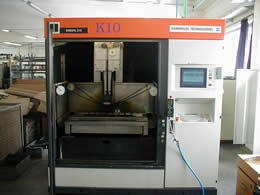 CNC electroerozive shaping - for shaping of soft and considerably hard, turbid conductive materials. Machines tools, forms and spare machine parts can be easily shaped. It works on the principle that the material is being seperated by an electric discharge between the wire and the part that is being shaped. In this way outer curves, openings of various shapes, scores, etc can be created. The reached roughness varies Ra=0.8 to 0.4.